Bobo's Oat Bars maple Pecan 12/3oz. 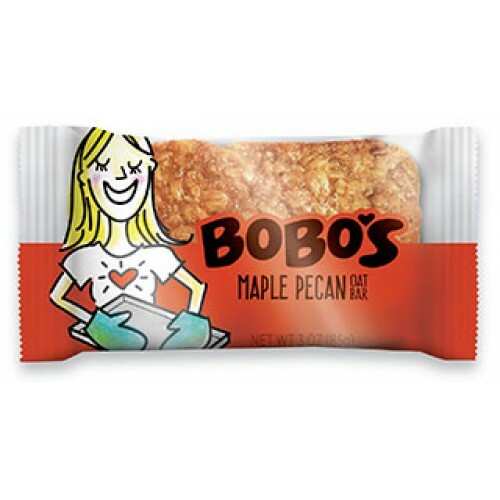 » Bobo's Oat Bars maple Pecan 12/3oz. Bobo’s Oat Bars have a moist and delicious home-made taste unlike any other snack bar on the market. Our bars are made with NON-GMO, natural and organic ingredients and come in ten tasty original flavors and four new gluten-free flavors. Our gluten-free bars are just as outrageously yummy as our original flavors, so there’s no feeling of compromise.